“The dictator is coming” – President of the European Commission said at Friday’s summit in Riga, when he saw the Hungarian Prime Minister. 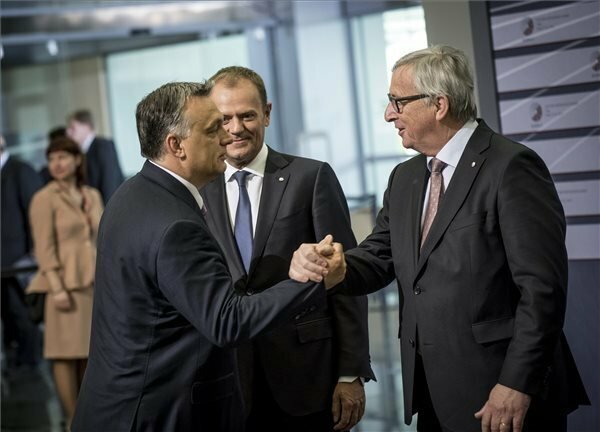 Jean-Claude Juncker slapped a little Orbán after the formal handshake, hvg.hu said. Euronews wrote, referring to the photographer to the French news agency AFP, Juncker greeted Orban with a “Hello, dictator!” exclamation at the Riga summit. 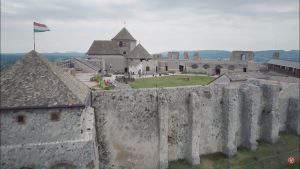 According to Press Officer Bertalan Havasi the Prime Minister responded: “Hello Grand Duke”. Grand Duke refers to the Grand Duchy of Luxembourg, where Juncker was the Prime Minister. 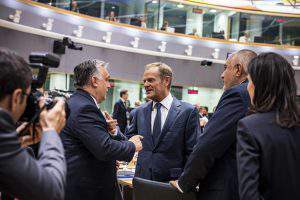 Havasi told 444.hu that Orbán greets the President of the European Commission in this way. It wasn’t the first time when Juncker embarrassed Orbán. At the beginning of the year, he pulled him by the hand, and the Hungarian Prime Minister couldn’t treat this so professionally. ” Bagoly mondja verebnek Nagy Fejü”!!!!! The real dictator is the traitor Juncker, who wants to flood Europe with Muslim invaders! Along with Germany’s Frau Merkel, this evil individual wants to destroy white, Christian nations, and turn Europeans into a minority on the continent. 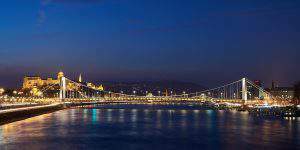 P.M. Orban is taking the right course for Hungary by refusing to accept bogus refugees. Kudos to him for standing up for his beautiful country!